Anyone who knows me will know that one of the core principles of my branding work with professional firms is that they need to be RAD - relevant, authentic and distinctive. This is a fascinating article from the Economist, highlighting two points in particular; first, the importance of authenticity; and second, the danger of faking it. Faking it often comes when your marketing is divorced from your business and strategy. The only way to develop a really authentic brand message is to spend time with your people and clients - with your people to understand what it's like to work for you and with your clients to understand what it's like to work with you. Interbrand, a consultant on branding, describes authenticity as “an internal truth and capability”, a “defined heritage” and a “well-grounded value set”. This slippery quality, the pundits tell firms, is what the public is yearning for, in an age of doubt and mistrust. In 2013 the Boston Consulting Group surveyed 2,500 American consumers and found that being authentic was indeed one of the main qualities they said would attract them to a brand. For younger “millennial” consumers (born between 1980 and 2000), it was second in importance only to rewarding their loyalty with discounts. 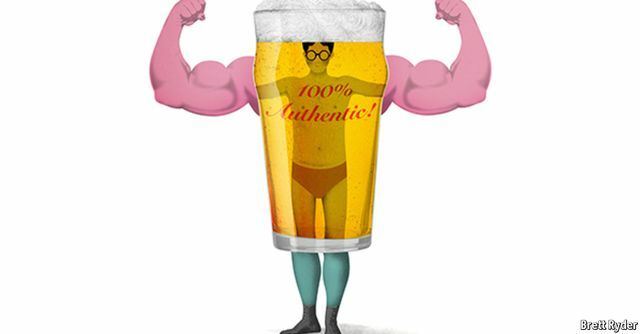 @Pete_Robson "@TheEconomist: Do you trust brands that dub themselves authentic? https://t.co/NHG1yqrRgP pic.twitter.com/hiRkyfa210"